This holiday season cozy up and share this durable Limited Edition ornament set. 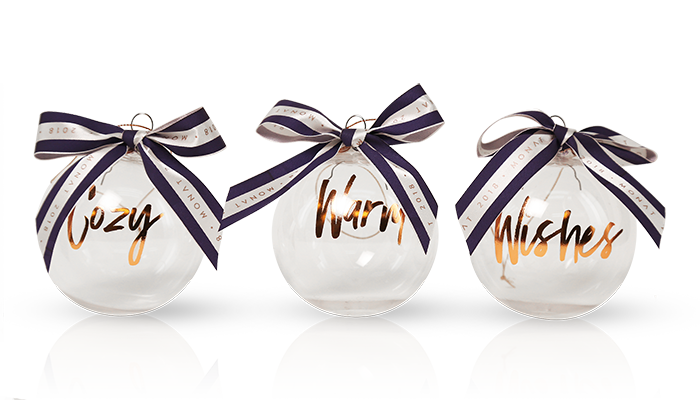 Whether you're decorating your tree or in search of the perfect centerpiece, our Cozy Warm Wishes Ornaments trio is this season’s must-have! They’ll add the right touch of elegance, and the custom MONAT ribbon makes this item the ideal collectible for you and your friends this year.